We did a painting activity the other day and I only just noticed that KayCee made one especially for Ella. 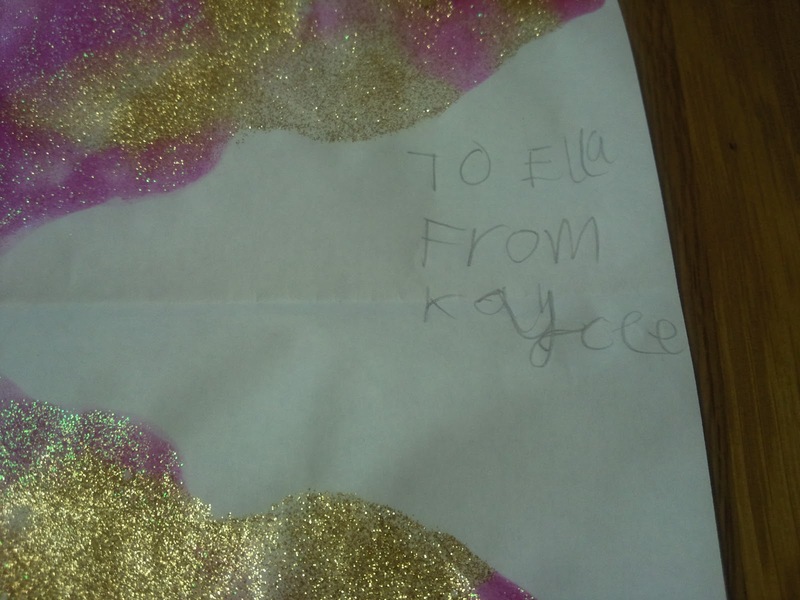 It was pink and sparkly…KayCee knows her sister well! It made me melt just a little when I found this today.